Sofia Coppola’s whitewashed new movie The Beguiled. Sofia Coppola’s The Beguiled cuts the book’s black characters, whitewashing its tale of the Civil War–era South. At this point, that’s hardly a surprise. 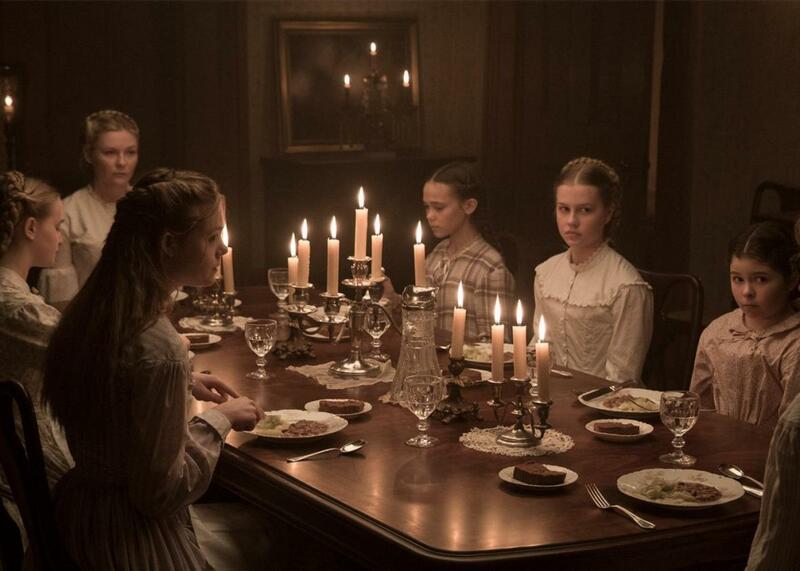 Nicole Kidman, Kirsten Dunst, Elle Fanning, Angourie Rice, Oona Laurence, Addison Riecke, and Emma Howard in The Beguiled. Ben Rothstein / Focus Features - © 2017 Focus Features LLC. All Rights Reserved. “The slaves left.” In three words, Sofia Coppola’s new film The Beguiled casually dispenses with one of the great shames of the American republic. 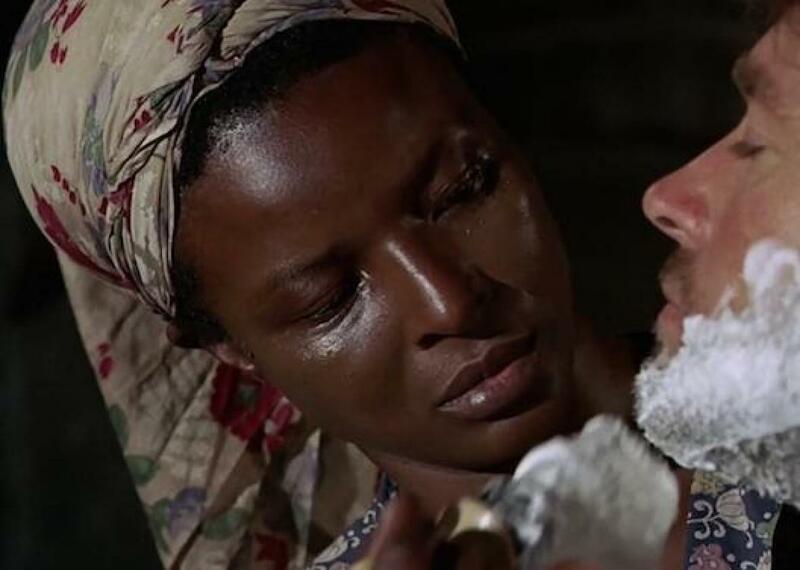 Coppola’s film is an elegant Southern Gothic tale of masculine charms and feminine vengeance, completely stripped of its historical and racial context. While not every period genre picture need grapple with the “peculiar institution,” this is a film set during the Civil War, unfolding between Southern women and a Northern soldier, and it goes so far as to cut both black characters from the novel upon which it was based. Based on a 1966 novel by Thomas P. Cullinan, and previously adapted into a film in 1971 by Don Siegel and starring Clint Eastwood, The Beguiled tells the story of an injured Union fighter who seduces several of the women at Farnsworth Seminary, a Southern school for girls, only to breed jealousy and become the subject of their collective wrath. It’s hard not to see Coppola’s attraction to the material. Her body of work regularly focuses on privileged characters—particularly women—cut off from the world, their sexuality repressed, longing for an escape, but ultimately doomed to their lonely circumstances. Exotic is a word Coppola used again in an interview with Vanity Fair, and it signals her aesthetic interest in the story. The chance to film the remnants of the antebellum South, with its grand houses, stately furnishings, and beautiful dresses must have been an alluring prospect for a director so visually minded and so interested in the lives of the wealthy. But aesthetics are not apolitical, and those grand houses and beautiful dresses didn’t emerge out of a vacuum. Mae Mercer and Clint Eastwood in The Beguiled (1971). While the way that Marie Antoinette mostly omitted class struggle from a story about the French Revolution was arguably an appropriate reflection of its protagonist’s worldview, the excuse wears thin across her career, especially as it pertains to the erasure of people of color. In The Bling Ring, also based on a true story and itself a sort of tale of class struggle, Coppola fictionalized the gang of teenage celebrity robbers, making them mostly white, and cutting out one member of the real life bling ring, a young undocumented immigrant from Mexico named Diana Tamayo. In The Beguiled, Coppola cuts out the enslaved housemaid Mattie (called Hallie in the 1971 film), and she also turns the character Edwina, who was a free mixed-race teenager in the novel, into a white teacher played by Kirsten Dunst. * Asked why she cut out the enslaved woman from the original film, Coppola told BuzzFeed News, “I didn’t want to brush over such an important topic in a light way. Young girls watch my films and this was not the depiction of an African-American character I would want to show them.” Perhaps her intentions were pure, but it’s hard not to see this as part of a larger pattern. This is even more bothersome when you consider that the original text provided Coppola with ample material for complex depictions of strong black characters. In the novel, both Mattie and Edwina are given first-person chapters that explore their unique experiences and psychologies. The book also astutely depicts both characters’ places in Southern society. Edwina is a troubled child who keeps her parentage a secret despite it being obvious to everyone around her that she must have gotten her darker skin from her mother. Only Mattie is open about the truth, telling one of the women of the house, “She’s got black blood in her,” to the woman’s horror. Edwina is suckered in by the Union corporal, John McBurney, who knows of her heritage and manipulatively speaks to her acute feelings of otherness. Coppola’s erasure of history is evident even in the period-accurate choice of filming location: Madewood Plantation House, where Beyoncé shot parts of Lemonade. The cast of The Beguiled were so excited to be shooting at the same location that Elle Fanning and Kirsten Dunst re-created a shot from Beyoncé’s film for Instagram. There’s something deeply perverse about seeing Beyoncé’s groundbreaking work of black female historical reclamation appropriated by two white actresses in 1860s Southern dress. But it’s perfectly in keeping with the attitude of the film, in which black people barely merit mention. While the film’s production design and costumes evince a commitment to authenticity, the movie itself has no interest in the people on whose backs that lavish lifestyle was built. Even “the slaves left” is a gross misrepresentation of history, making easy the struggle faced by enslaved people during the Civil War, which wasn’t so simple as merely “leaving” their enslavers. Many struggled, fought, and escaped, but many didn’t for fear of violence and death, while others couldn’t risk separation from their families. For all the violence that occurs between McBurney and the women of the Farnsworth Seminary, it pales in comparison to the real-life violence of slavery, which Coppola chooses, simply, to ignore.